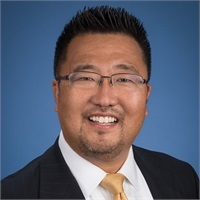 Stanford Hirata has been a professional financial advisor for nearly 25 years. He has been with First Allied Securities since 1994 and has served for several years on the company’s corporate advisory board. Stanford is a Certified Wealth Strategist® and is securities-licensed in multiple states throughout the nation. He holds a bachelor’s degree in Business Administration and an MBA with a concentration in Finance. Stanford is a strong proponent of client education and believes that an educated investor leads to successful long-term investing. Stanford’s commitment to education extends beyond his clients and into the community as a teacher and volunteer. Stanford is an adjunct professor of business at Sierra College teaching the Fundamentals of Investments course since 1998. He also served as a trustee of the Placer County Board of Education, where he helped oversee an operating budget of nearly $100 million. Stanford is the past President of the Roseville City School District Foundation and also served on the district’s Board of Education as a trustee. Stanford’s community outreach also includes serving on the board and past treasurer of A Touch of Understanding, a disability awareness and acceptance organization targeted at school-aged children. Stanford also served nine years as an appointed member of the Roseville Grants Advisory Commission, where he advised the City Council on the granting of nearly $3 million to local non-profits over his nine year tenure. Stanford is a longtime member and past officer of the Sacramento Senator Lions Club and has coached his sons’ Little League and travel ball teams throughout their childhood. Stanford is happily married to his wife Heather and has two wonderful sons.